The folk band from Wroclaw (Poland) was formed in June 2001. The band members are open to various experiments combining traditional folk music, mostly from Slavic region with different styles or sounds. 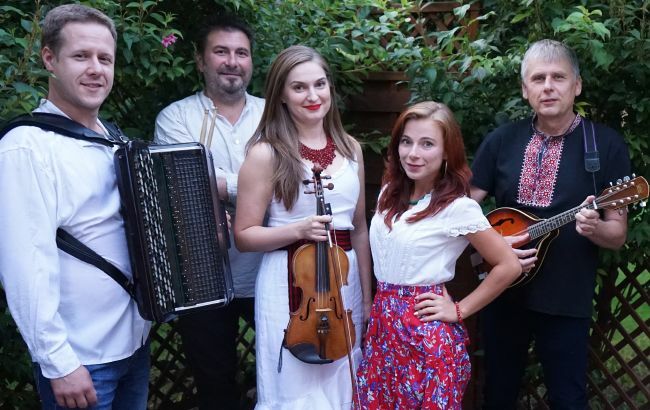 Their repertoire comprises Polish, Lemko, Ukrainian, Balkan, Sorbian and Gypsy folk songs played in a modern and dynamic arrangement and the group's own compositions inspired by traditional music as well. Individually, the musicians collaborated with such bands as Krakersy, Conga Line, Czereda, Kwartet Evviva l’arte and with legendary British blues hero Tony McPhee (The Groundhogs), who undoubtedly influenced the band Buraky to have a creative and original approach to the folk music. In 2007 the band released its first studio album, which was recorded with the financial support of the Wroclaw Municipality under the programme for national ethnic minorities in Wroclaw. Buraky have already given an impressing number of concerts both in Poland and abroad (Germany, Austria, Luxembourg, Belgium, Czech Republic). In May 2014 Buraky were the backing band for Chris Jagger (the brother of Mick) on his Polish tour.